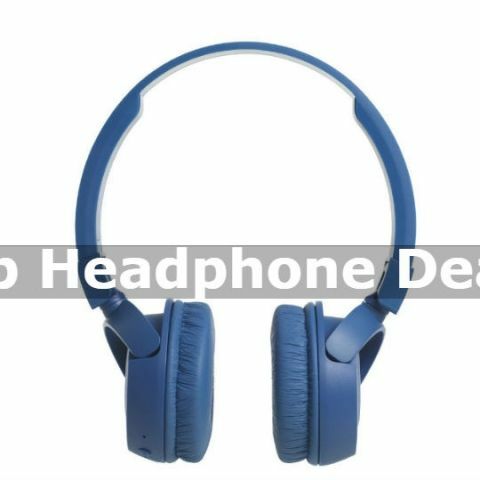 Paytm is currently giving away a fair amount of discount on wide range of Bluetooth/wired headphones which includes brands like Philips, JBL, Sony and more. Paytm is offering a bunch of audio devices at a discounted price with guaranteed cashback on plenty of audio products. Most of the deals we have in this list are on Bluetooth headphones, but I’ve also included some other wired headphones which are available with a hefty price cut. The JBL T450BT on-ear wireless said to provide upto 11 hours of continuous audio playback on a single charge. The device is flat-foldable, allows you to fold the cups and arm inwards which helps in storing the device in tight spaces while traveling. Music and call control buttons are placed on the earcup for easy access. The device is available in three colors - white, blue and black. Check this device out here. The Philips SHB3060BK are over the ear headphones that offer closed type acoustics for blocking out ambient noise. The headphones can be folded for easy storage and portability. As per the company’s claim, it can deliver upto 11 hours of playback in one go. Take a look at this device here. The Sony MDR wired headphone comes with an in-line remote and built-in microphone on the cord that allows you to skip the track, answer the calls and control volume without taking out the connected device from a pocket. The headphone earcups can lay flat for compact storage. They are available in two colors white and black. Purchase this device at a discounted price here. The Toshiba RZE is on-ear Bluetooth device which company's claim to deliver upto 8 hours of audio playback in one charge. The device comes with music/call control button that is placed on the ear-cup for picking up the calls and switching from one track to another. One can also connect two Bluetooth devices simultaneously at once. Take a look at this device here. The boAt BassHeads are available on Paytm for less than half the launch price of these headphones. The headphones offer swivel earcups for easy storage. It comes with tangle-resistant cable and in-line remote to control music playback and for answering calls. Purchase this device here.